These various sources of shoulder pain can make diagnosis challenging. A new study from the UK investigated the issue of shoulder pain in auto injury patients in an attempt to pinpoint the most common causes of this problem. The authors studied 220 patients who had come to them for a medico-legal evaluation after a whiplash injury. 202 of these (92%) had been in an automobile collision, and 129 (64%) had been in a rear-end collision. 60% of the patients had experienced thoracic or lumbar injury that resulted in back pain. 9.5% experienced mild traumatic brain injury. 56 of 220 patients (26%) "had shoulder pain following the injury." 11 of 220 (9%) had signs and symptoms of "subacromial impingement." 100% had been in a car crash. 81% were the driver of the car. 10 of the 12 (83%) of the injured shoulders were on the same side as the seatbelt. The other 2 injured shoulders were the result of direct trauma to the shoulder during the crash. The patients who developed impingement syndrome were older than the non-impingement patients. "This suggests that age or pre-existing degenerative change leading to a decrease in the subacromial space may be a risk factor for developing subacromial impingement following direct trauma to the shoulder." There were some indications from this study that impingement injuries occur from direct impact to the shoulder. 83% of the impingement patients experienced the condition on their seatbelt shoulder. "Moreover all 11 patients had developed their symptoms early and between 1 and 7 days after the injury, further supporting direct trauma as an underlying cause." The other two patients with pain on the non-seatbelt shoulder both had bruising in the area of the painful shoulder immediately after the crash. "All patients had been seen by their general practitioner but only one had been referred for specialist treatment. 3/11 (27%) patients had had their subacromial impingement diagnosed prior to the medicolegal report. From the three patients who were diagnosed prior to the report, only one was diagnosed in the primary care sector, by a physiotherapist who was delivering the 'neck' therapy. The remainder had their diagnosis made at the time of our report and subsequently advised to seek further medial assessment. Mean time to diagnosis was 8.8 months." 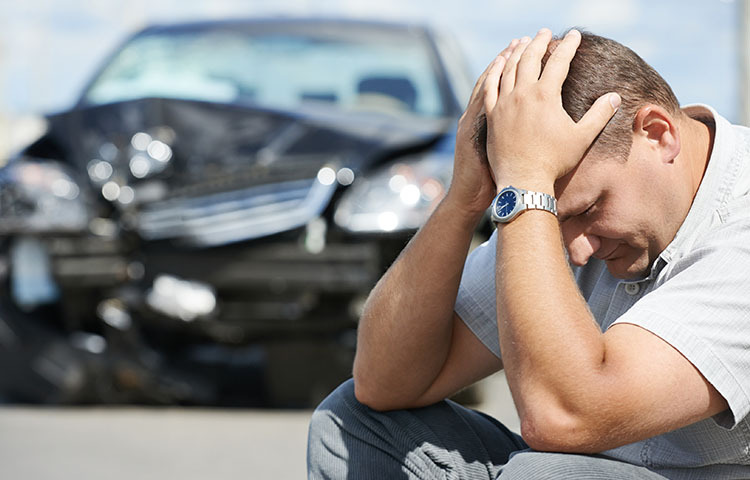 This study shows us that shoulder pain is found in about 1 in 4 auto injury patients. About 9% of these patients may have subacromial impingement that may be difficult to diagnose. Because of the complexity of shoulder pain after an auto collision, a careful evaluation is necessary to assure a proper diagnosis. Abbassian A, Giddins GE. Subacromial impingement in patients with whiplash injury to the cervical spine.